Once again in 2018, Croatian authors will be presented at the Leipzig Book Fair which takes place from 15th to 18th of March. This year’s Croatian attendance is jointly organized by the Association of Publishers and Booksellers of Croatia at the Croatian Chamber of Economy and the Croatian Ministry of Culture. 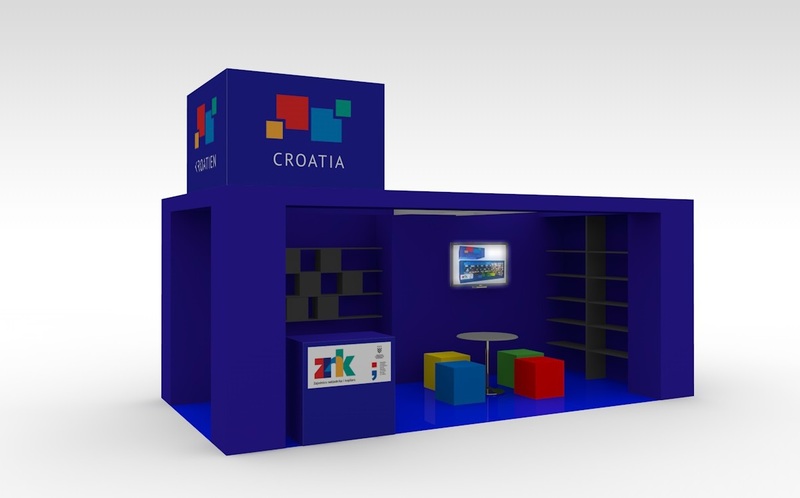 Croatian authors and their books will be based on an 18 square meter stand assembled from the elements presented at the last year’s attendance at the Frankfurt Book Fair. Three Croatian authors will participate at the 2018 Leipzig Book Fair: Slavenka Drakulić, Ivana Šojat and Igor Štiks, who will make their appearance within two international book networks of which Croatia is a full member. Ivana Šojat and Igor Štiks will present their recent literary accomplishments in an event organized by the Traduki network, while the literary oevre of Slavenka Drakulić will be presented at the Forum of Slavic Cultures. Along with the works by the authors attending the Leipzig Book Fair, the body of work of seven other authors will be presented at the Croatian stand (Renato Baretić, Zoran Ferić, Damir Karakaš, Kristian Novak, Olja Savičević Ivančević, Slobodan Šnajder and Marina Vujčić). These authors participated in the Leipzig Book Fair in the past years and are expected to attract a considerable interest from the international literary audience, which may result in new translations of Croatian literature into foreign languages. In addition to the shelves with the presented books, the Croatian stand will continuously display a series of a dozen video-materials entitled Breaking: Reading Time, featuring Croatian authors reading from their own recent works. Each of the programs is subtitled in English. This year, a promotional booklet is printed as well, containing the authors’ bibliographic information and QR codes – links to each author’s profile and sample translations of their works, which can be accessed on the web portal Croatian Literature.